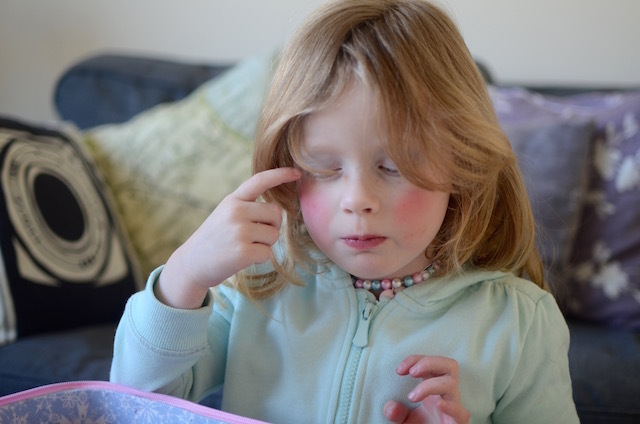 Every time we asked Alice what she wanted for her 4th birthday, she replied with "make-up". Every time. 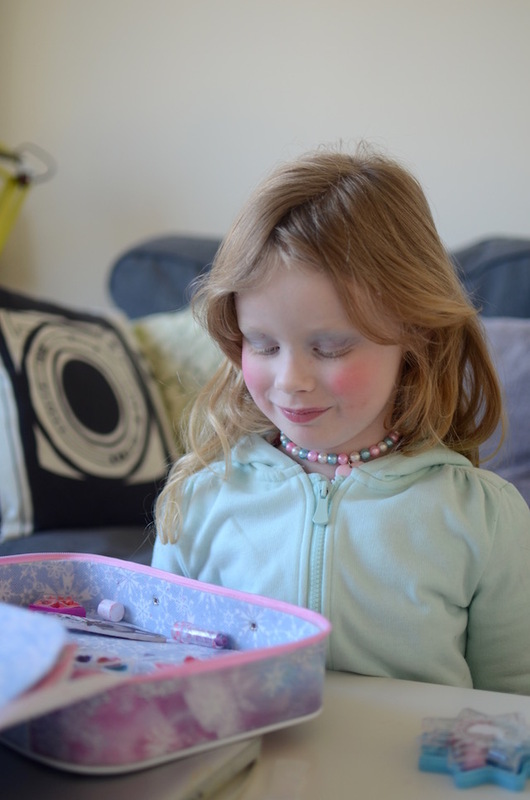 As much as I didn't really want her to have it, I had to eventually give in and allow her to have a Frozen make up kit. It's not real make up. All child friendly and it washes off with water, so it's more like face paint really. 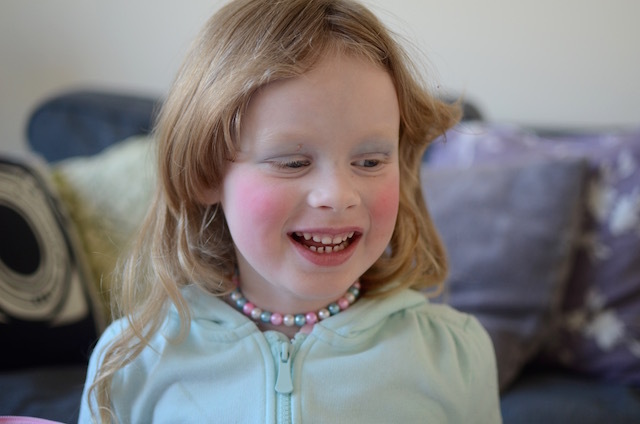 But to Alice, it's make up just like mummy wears! I'm not sure how I feel about it, it's such a hard one. 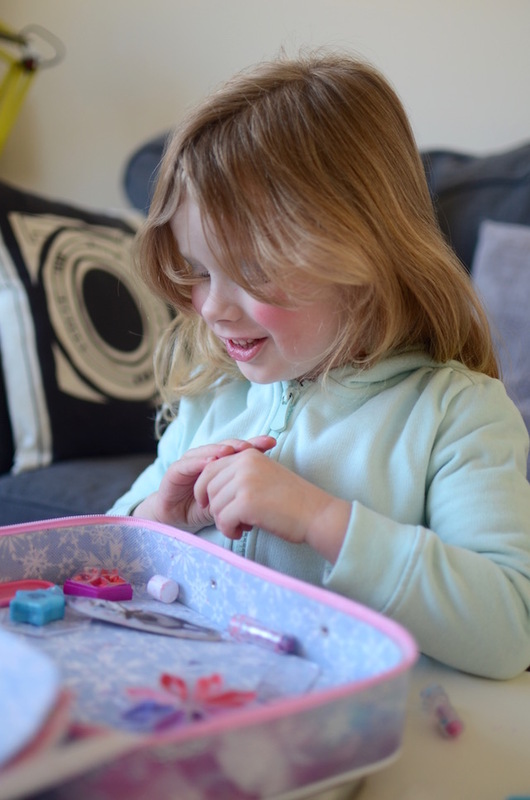 On the one hand, I've begun to finally realise that I need to allow my children to make up their own minds about what they want and stop forcing the toys I think they should have on them. 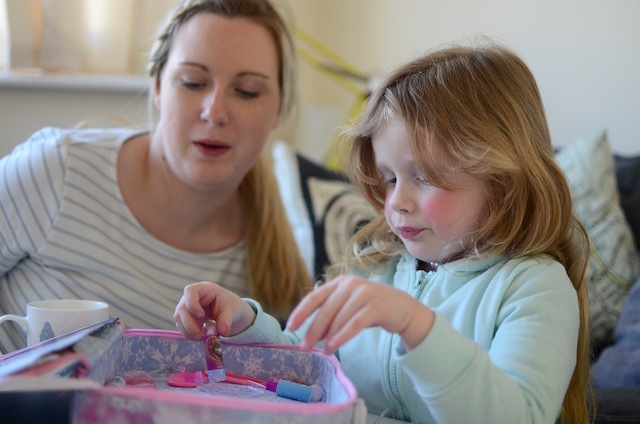 I think we're all a little guilty of pushing our own preferences on our children, not just with toys but with the clothes they wear, the games they play, how they wear their hair. I've started to learn to let these go more and allow my children to make their own decisions. I won't lie. It's hard. 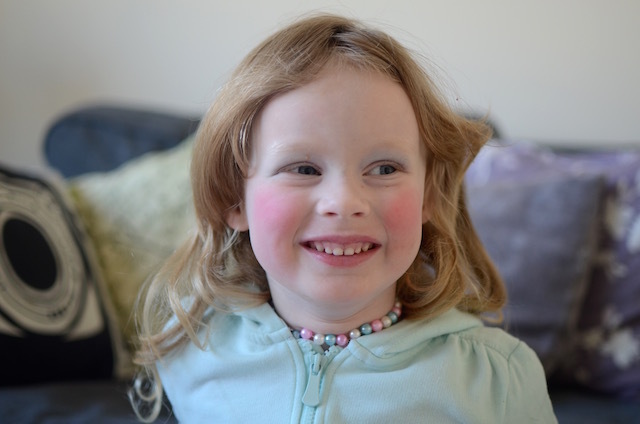 Of course, just because she has make up doesn't mean she's any less of a child. I know that. She still plays with dolls and wants to climb up trees in the garden and chase pigeons in the park. She wants make up because Anna and Elsa wear it. And mummy wears it. And it's fun to play dress up. So I'm a little conflicted, but I'm learning. I'm learning to listen to my children rather than force ideas on them. I'm learning to change my own previously held ideas as a grow and they change. And I'm learning to stop caring about what everyone else thinks about the choices I make as a parent. And that, that's the hardest learning curve of all. But it's the one that will ultimately make me a better parent. Without further ado, here's Alice playing with her make up! There always comes a time when they grow up! 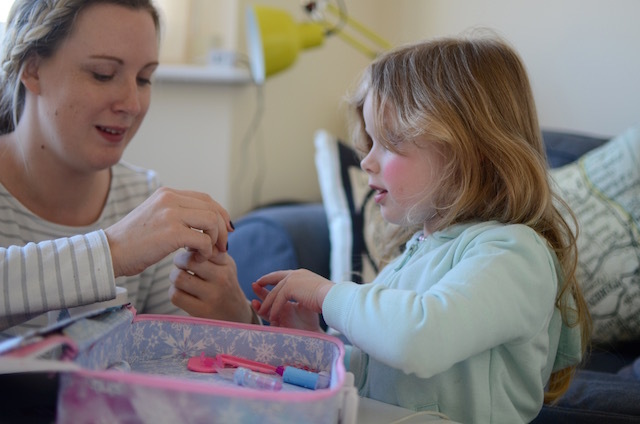 With my OH's girls, (7 and 5) they quite often sit there with me on a Saturday morning whilst I do my make up and have a play around as well... There are some things like mascara which I don't let them play with, but most other things they just help themselves to! Haha. Trust me, it all gets washed off before we go out though.